SKS’ Thursday Night Event Series continued this week with another important guest speaker–this time one of Storm King’s own. 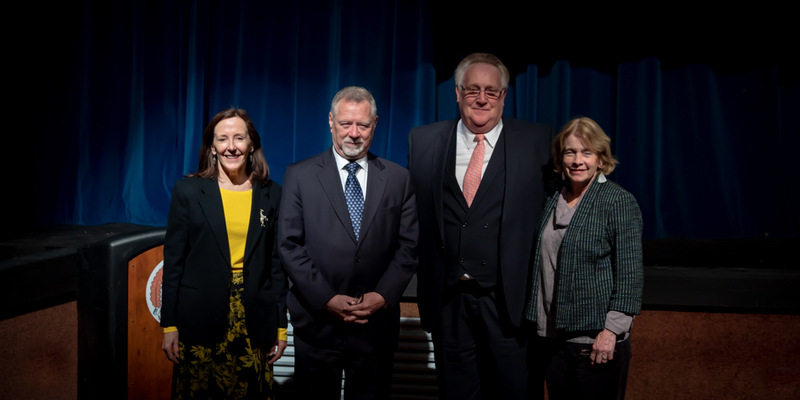 On Thursday, March 28, Lieutenant Paul Vance ’71 came back to the Mountain for the first time in many years to share experiences and lessons learned from his 43-year career in law enforcement, and from his life. Lt. Vance served as a Connecticut state police trooper, retiring as a commander after more than 43 years. He worked in many roles, including as a specialty K-9 (dog) handler, a SWAT Team member, a helicopter medic, and a detective on the Major Crime Squad. He was also an instructor at the Connecticut State Police Training Academy and conducted training classes for all state troopers. For 16 years as commanding officer of the Public Information Office, Lt. Vance was the public voice and face of the Connecticut State Police and traveled across the country to speak at law enforcement conferences. 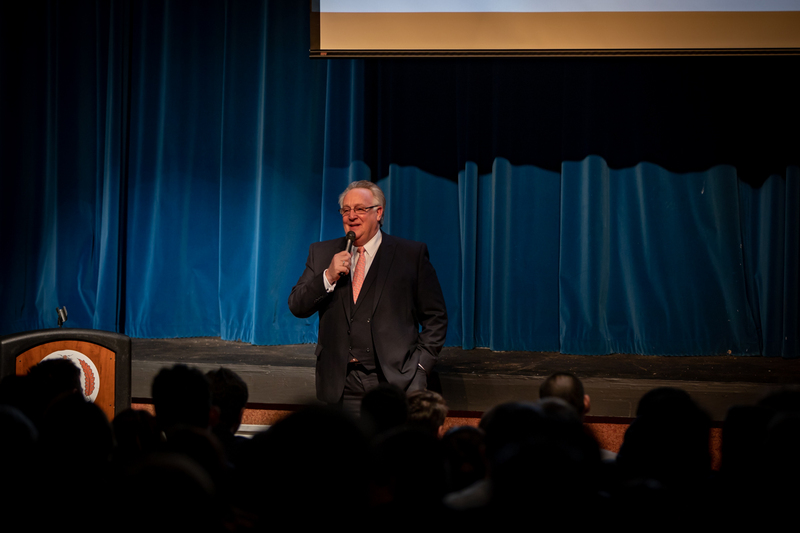 During his presentation, Mr. Vance was quick to stress that his education at SKS played a very large role in his life and career. “The School was much smaller when I was here. 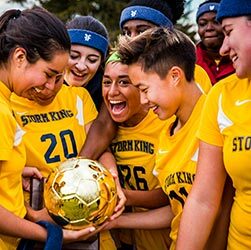 Along with strong academics and Storm King’s supportive, family-like atmosphere, learning to think outside the box is a crucial skill that I first acquired here. You have to learn to think outside the box! I can safely say it got me to where I am today and through some very difficult situations over the years,” explained Mr. Vance with a smile. Lt. Vance talked about his life and career with the Connecticut State Police and the many interesting opportunities available to those interested in the field of law enforcement. Talking from his own personal experiences while on the job, he also conveyed powerful messages to the students. “You are all young adults. Choices you make today will stay with you for a lifetime. Use social media wisely, because things written today cannot be taken back. They can damage your chances at college and while searching for jobs far into the future,” he advised the students. He also stressed the importance of safe driving, and the dangers of texting and driving, driving under the influence and driving too fast. “I have seen the consequences first-hand. Make sure you think about these things when you are faced with these kinds of choices,” he continued. 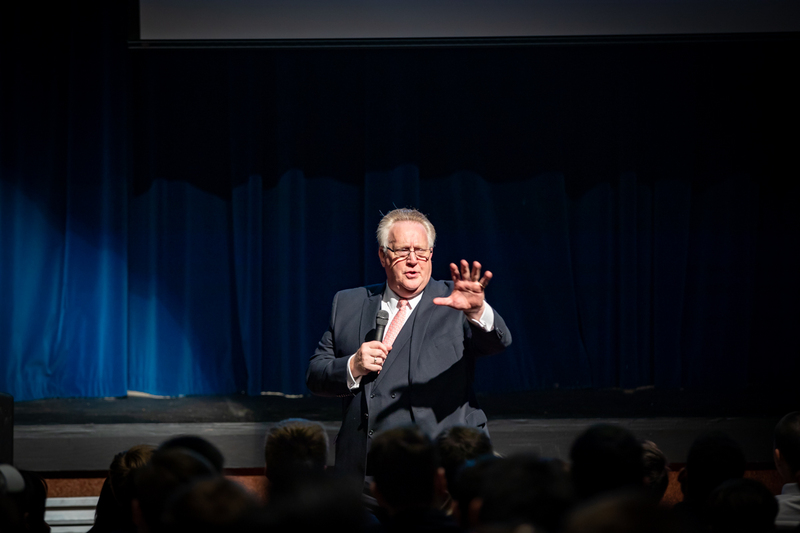 Following his presentation, Lt. Vance answered many interesting and incisive questions from the students, who applauded and cheered at the conclusion of the evening. Many thanks go out once again to Lt. Vance for returning to Storm King to share his invaluable experiences with our students and community.